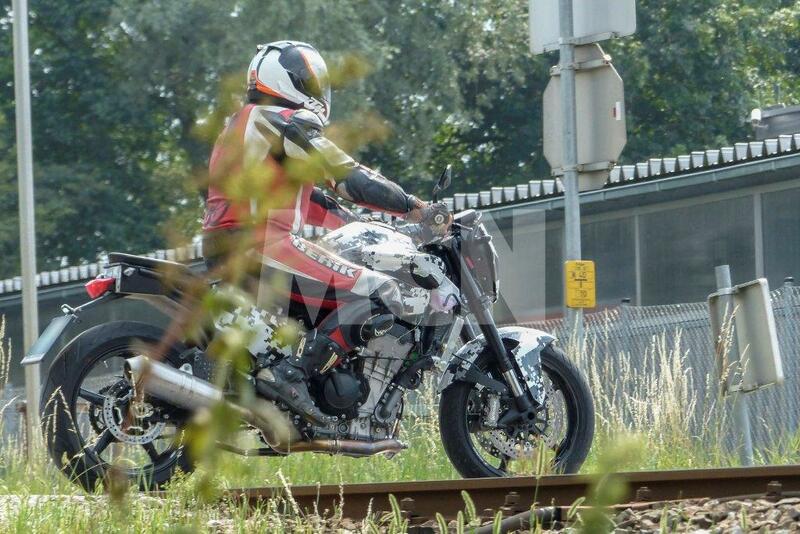 These are the first images of KTM’s new mid-range model – the first bike in the firm’s history to have a parallel-twin engine layout. 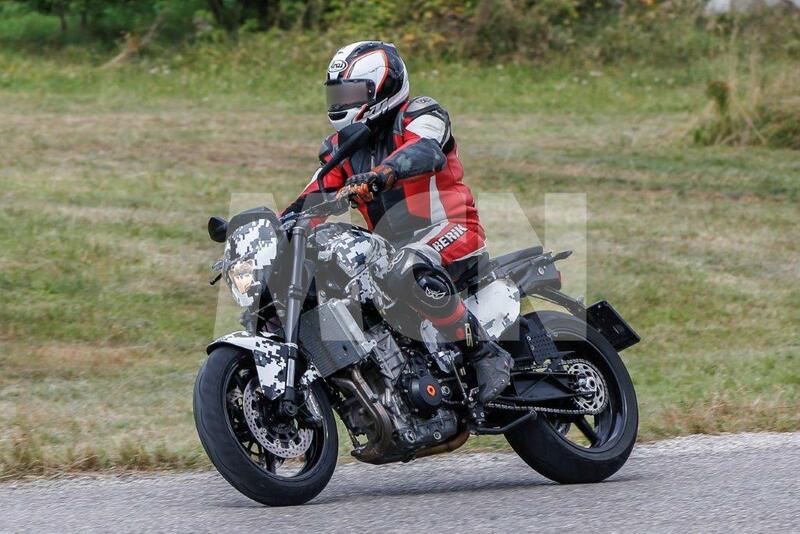 KTM bosses have been intimating for some time that a new mid-capacity engine was in development, but the suggestion was that it would be a V-twin, in keeping with the firm’s commitment to singles and V-twins, so the parallel configuration is both a surprise and a serious departure. This is the first time anything has been spied in the metal, and it’s clear that the project is pretty well advanced. There is no official technical information available about the new engines, but we understand there will be more than one variant stretching in range from around 600cc up to a maximum of 800cc. The spy photographer who took the images described the engine’s firing order as sounding like a V-twin, which suggests the firm have used a 270-degree crank to mimic a V-twin firing order, and to inject some character into the engine’s delivery, while boosting torque at low rpm. Parallel-twin engine designs have become increasingly favoured in recent years for a variety of reasons. They are cheap to produce and design, compact, fuel-efficient and also offer huge advantages in terms of packaging. The other significant benefit of using a parallel-twin is its ease of packaging, giving KTM the versatility to easily create other genres of bike around a single engine. Slotting something like a 750cc parallel-twin motor into a mid-range adventure bike would make for a chassis and engine layout that would leave plenty of space for an airbox and a large fuel tank to be housed well out of the way from potential stone damage. Yamaha and Honda have joined the likes of BMW and Kawasaki in using modern, lightweight parallel-twins in recent years, and clearly KTM have taken notice. As with many recent KTMs, there looks to be a large amount of component sharing in evidence. Not only does this speed up bike development, but it massively reduces costs, something that will be key to the firms’ plans for rapid expansion. MCN understands that the lowest capacity of this new engine platform has not been set, but that the upper limit has been capped at 800cc. Our sources also suggest that these bikes are at least another two years from reaching showrooms. Once in production, these new engines will be also be made available for use in the Husqvarna model range, further bolstering the sister firm’s range options (see p6-7 for more new Husqvarnas). All this activity is being underpinned by the growth at KTM headquarters in Mattighofen, Austria, which has recently undergone extensive expansion. 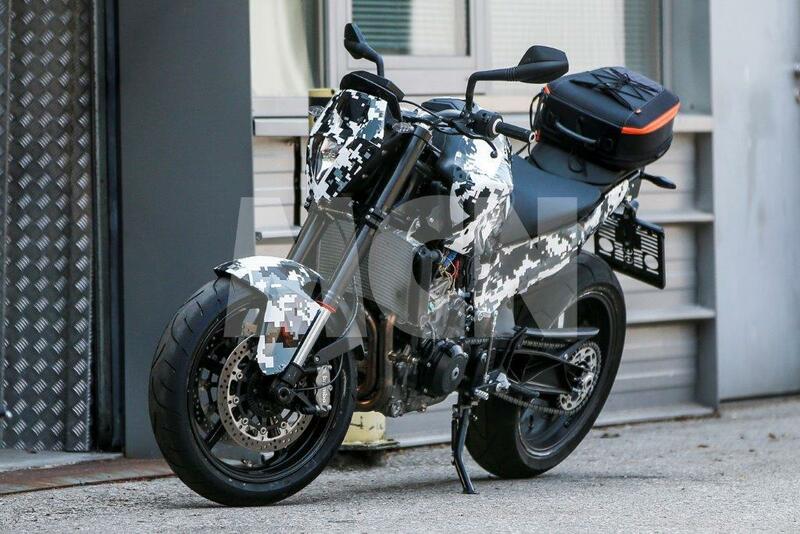 KTM CEO Pierer told MCN last year: “We are spending around €700million (£500million) per year on R&D, covering everything from road bikes through to Moto3 and all of our off-road competition.